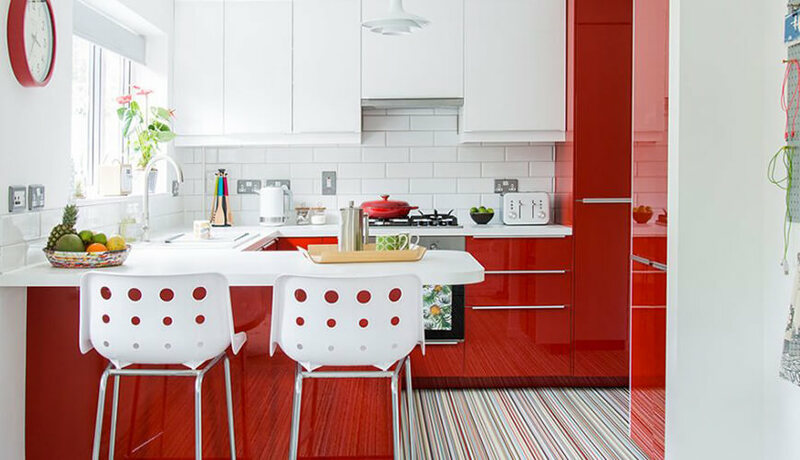 The recent years have witnessed an increasing growth in the popularity of kitchen finishes. 2016 saw the partnership of two pillars in the global Kitchen Industry in order to meet the increasing demands of the consumers and provide them with the most revolutionary, innovative and reliable finishes available. Centrepoint, a subsidiary of Fairway Holdings (Pvt) Ltd; has raised the bar for the entire local industry by partnering with Germany’s leading kitchen brand – LEICHT, and introducing it to Sri Lanka. LEICHT products can now be found at Centrepoint’s showroom at no. 305C, Nawala Road, Nawala, where customers can see for themselves, the quality and unique designs produced by Germany’s most innovative kitchen brand. Open from Monday to Saturday, expert professionals, specially trained in Germany to understand customer requirements and offer effective solutions from LEICHT, run the showroom. German born and globally renowned, LEICHT serves as the very epitome of innovation in the Kitchen Industry. In fact the company has established its very own Innovation Center made up of experts solely dedicated to the task of producing new ideas and innovations to bring out creative, unprecedented, one-of-a-kind kitchens to the market. The EVO Series, LEICHT’s most recent invention secured the brand’s second Plus X Award for the ‘Most Innovative Brand’ in 2017. LEICHT first won the much-coveted award in 2015 in recognition of the brand’s intrinsic commitment to innovation. 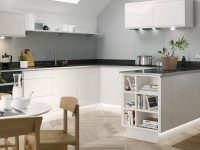 The EVO Series offers a unique and minimalistic design in which the worktop is fused with the cabinets and every aspect of the kitchen from door faces to handles run in the same color, be it matte or lacquer high gloss. 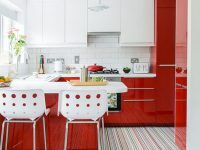 The design was introduced primarily to suit the minimalistic style of the modern kitchen. LEICHT is also the first and only kitchen manufacturer to feature Les Couleurs Le Corbusier in its portfolio. Swiss-French architect, designer, painter, urban planner and writer, Charles Edouard Jeanneret aka Le Corbusier was one of the founding fathers of modern architecture. In his career that spanned five decades; he constructed buildings in Europe, Japan, India, and North and South America. Le Corbusier partnered with LEICHT in order to produce a range of colors unique to the brand, which runs in the company’s line of finishes to this very day. Thus consumers pay a fraction of the amount it would have cost them to otherwise claim ownership of the work of one such as Le Corbusier. Having begun as a family business over 80 years ago, LEICHT has evolved into a business that boasts a turnover of over 120 million Euros a year in its native country. As one of Germany’s premier brands, LEICHT caters to the niche market and enjoys the highest market share in Germany’s premium kitchen sector. The heart of the company is currently in Stuttgart, where its headquarters and state-of-the-art manufacturing plant are located. LEICHT is currently present in fifty-five countries across the globe. 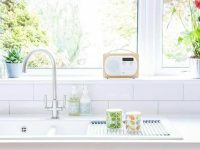 “Year after year we’ve experienced the growing demands of consumers when it comes to the quality and finer details of kitchen finishes. With this in mind we began to search for a brand that could meet those demands and we found LEICHT to be one of the best brands to affiliate with. Their innovation, quality and finishes have been evaluated and awarded by prestigious external bodies. This gives us the comfort of knowing that LEICHT is actually walking the talk”, said Mr. Hemaka De Alwis, the Chairman of Fairway Holdings (Pvt) Ltd. Following LEICHT’s arrival in Sri Lanka, the brand has become a partner in Fairway Holding’s Elements project, which is a series of luxury condominiums in Sri Jayawardenapura Kotte. All apartments of the Elements will feature kitchens produced exclusively by LEICHT, thus offering homeowners an excellent value proposition. 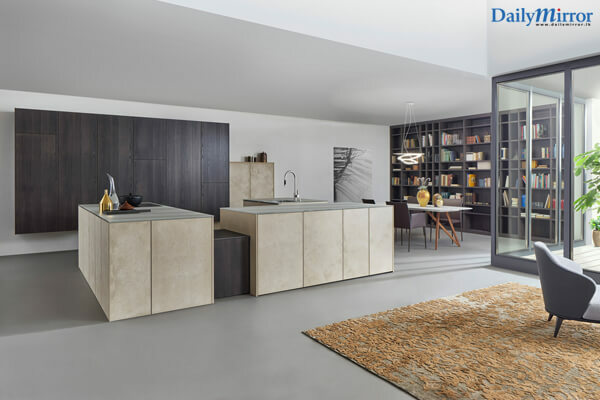 Such is the standard of the brand’s exclusivity and quality that every aspect of LEICHT kitchens are produced solely in Germany and then shipped over to Sri Lanka. Time and again LEICHT has introduced new innovations ranging from lighting concepts to ideas for more convenient storage and accessories. Dedicated to the task of making spending time in the kitchen a joy rather than a burden. Functionality is the name of the game as LEICHT strives to create a new wave of addiction, where consumers find kitchen work enjoyable and fun.